1. Screw the eye-screw into one end of the cork. 2. Wind a keyring through the eye-screw loop. 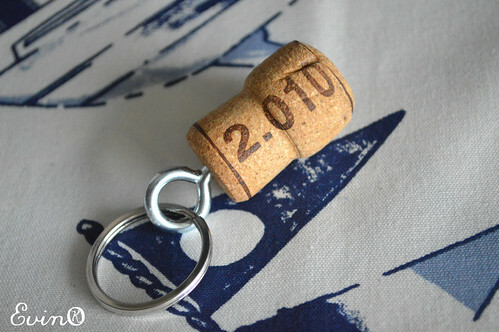 Note: For added style, dip one end of the cork in silver paint first. This entry was posted in Tutorials | Patterns and tagged how to.